Laptop for Students. 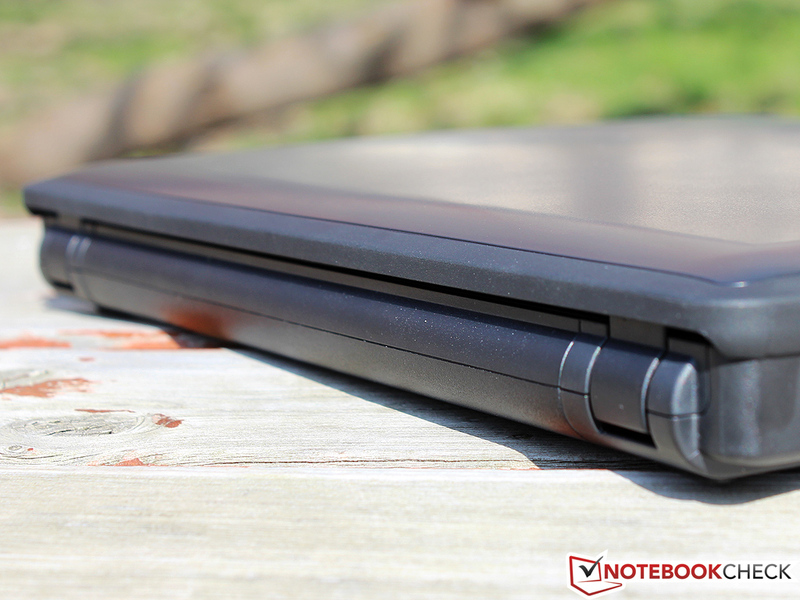 The new Lenovo X130e is designed for students who need a reliable notebook with long battery life. ThinkPad is famous for their amazing build quality, but their models are also known to have a few weak points. 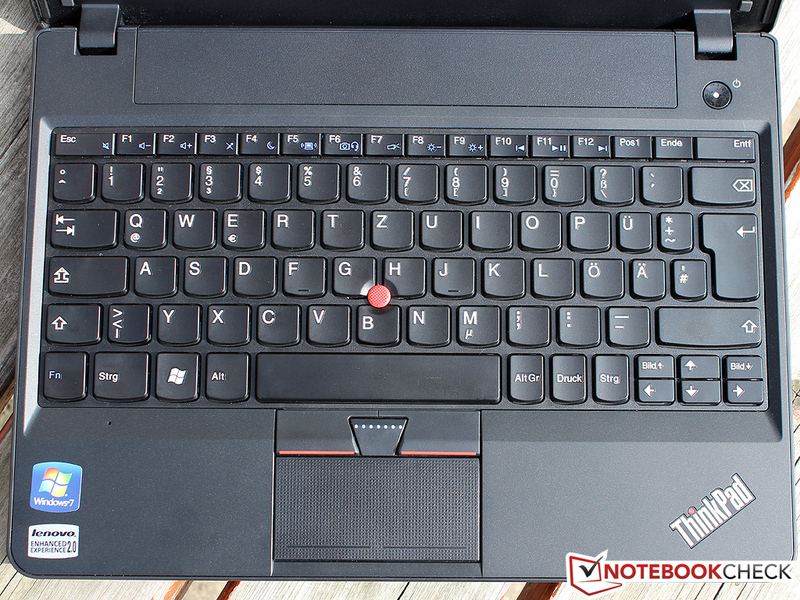 So read our in-depth review to find out more about the ThinkPad X130e. Luxurious "Ultrabooks" and stylish tablets are the latest craze, but not every buyer is comfortable with these new trends. High prices scare off students and not everyone is ready to leave the familiar x86 platform yet. 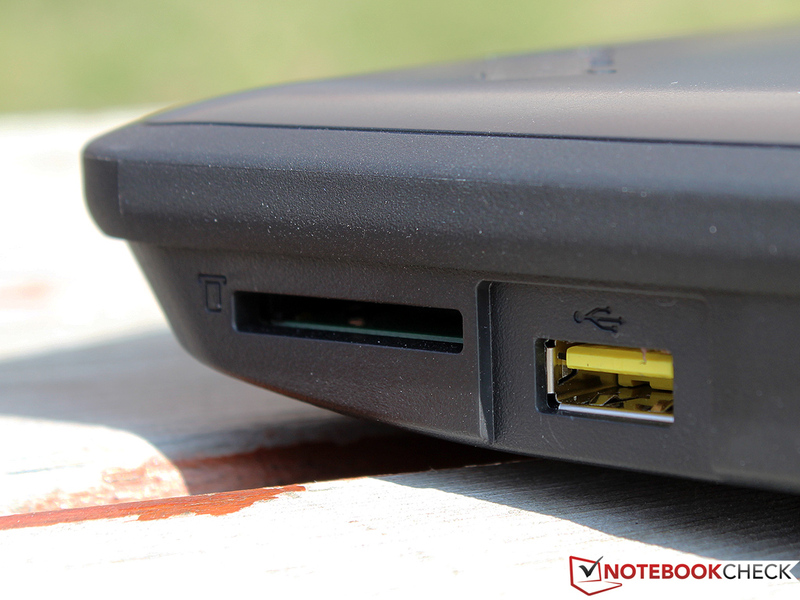 An alternative to weak netbooks is the classic subnotebook. 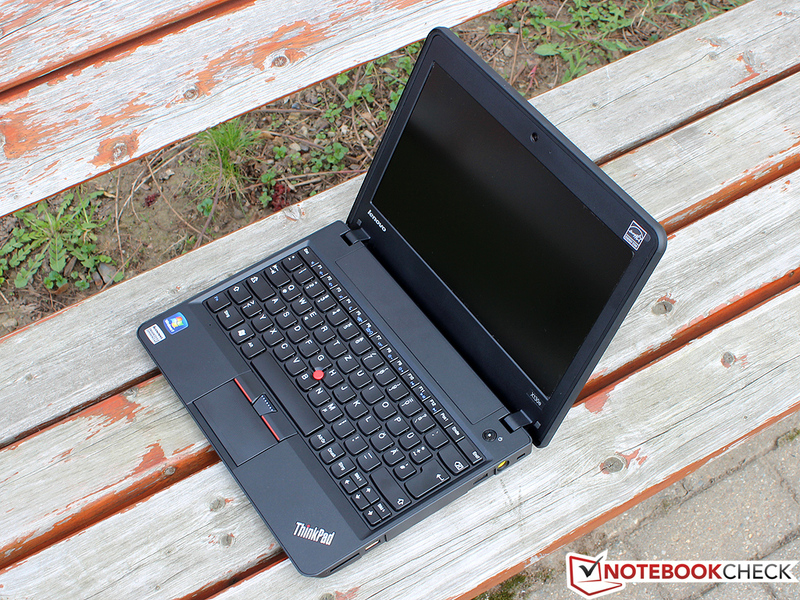 Lenovo impressed us in this category with the ThinkPad X121e, which has high mobility, good multimedia capability and low emissions - all for a fair price. Unlike its predecessor, the new ThinkPad X130e has a more robust case and it offers the latest hardware inside a matt 11.6 inch case. The fastest AMD ULV-APU, the E-450 (1.65 GHz), 4 GB RAM and a 320 GB hard disk work together to deliver enough performance to tackle everyday tasks. The price of this test model is about 460 Euros (including OS), making this test model one of the cheapest ThinkPad laptops on the market today. MSI's Wind U270 and Samsung's 305U1A have similar hardware and different strengths. 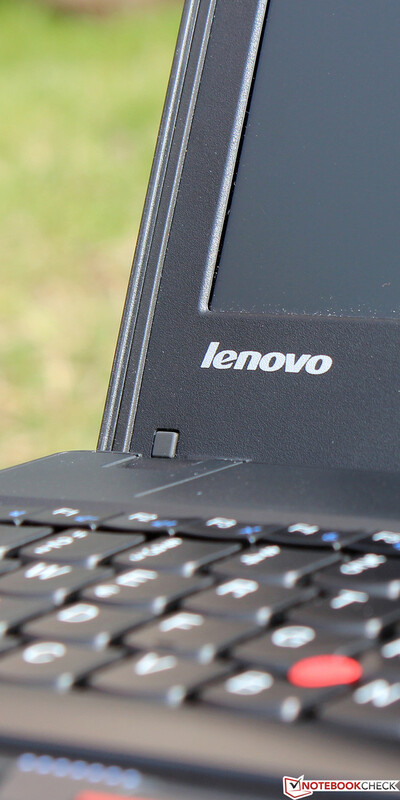 Can the Lenovo test model keep up with the competition? We intend to explore that in the following review. 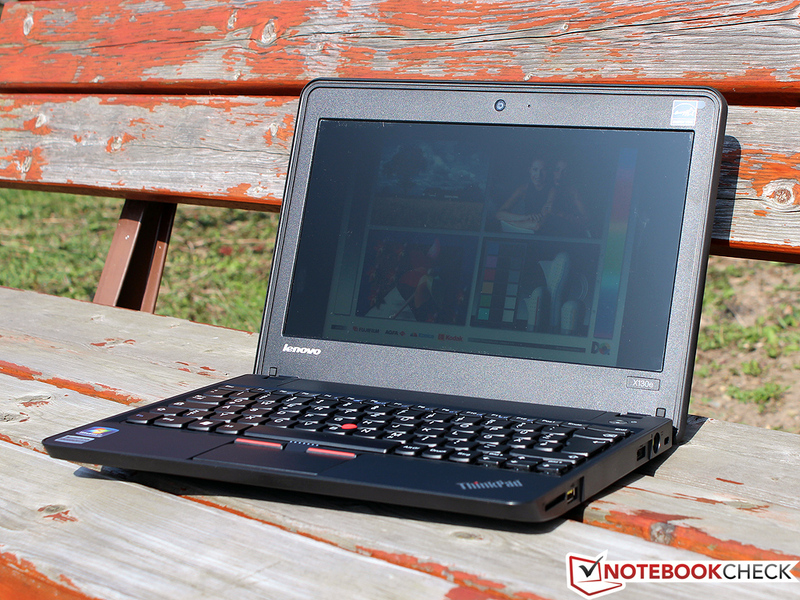 The ThinkPad series consists of plain-looking laptops with amazing build quality. 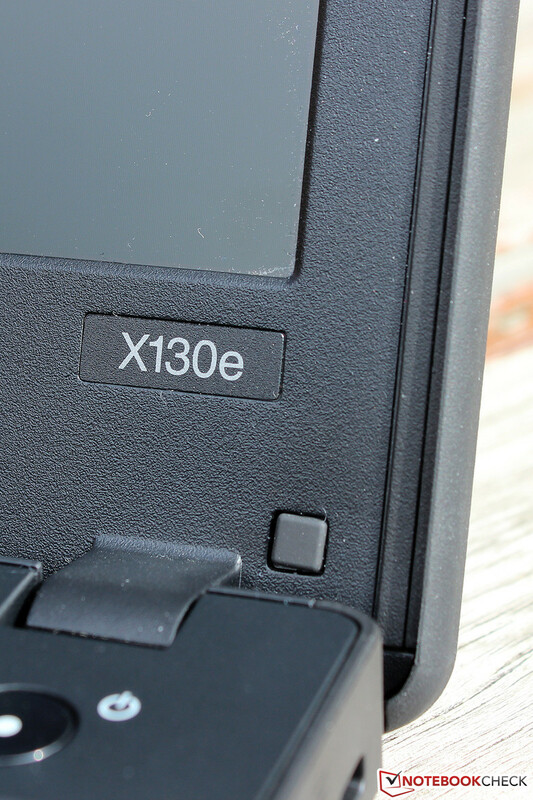 The look of the X130e takes us back 10 years. This impression is conveyed by the wide display borders, which measures almost 3 cm at the top and the bottom. 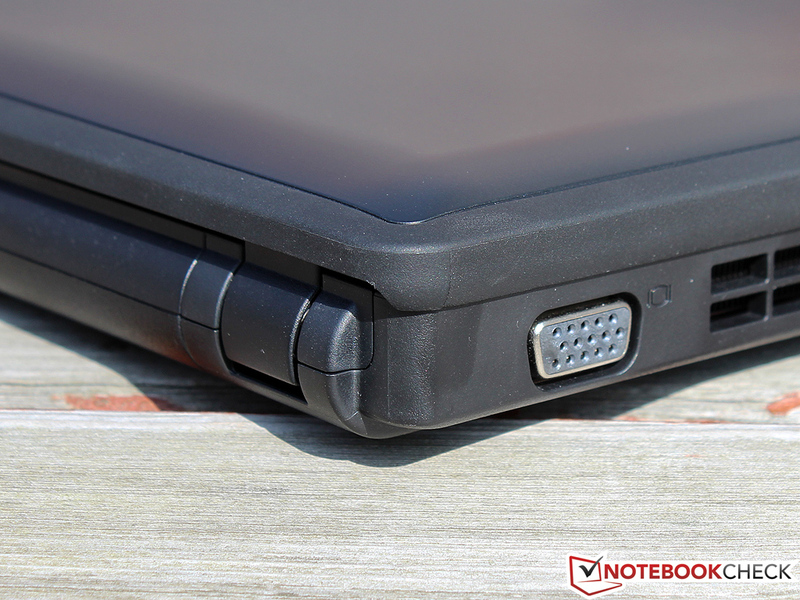 The test model weighs more than 1.7 kgs which makes this an exceptionally heavy 11.6 inch notebook. Overall, the laptop seems plump and heavy. The matt synthetic case (made of polycarbonate and ABS) may not be fashionable but it is practical: fingerprints and scratches are kept at bay. The workmanship is amazing - precisely fitted materials, small gaps and great feel. The chassis of the X130e is very sturdy and it is impervious to pressure. The display is held by stiff hinges which do their job well and prevent the screen from shaking. 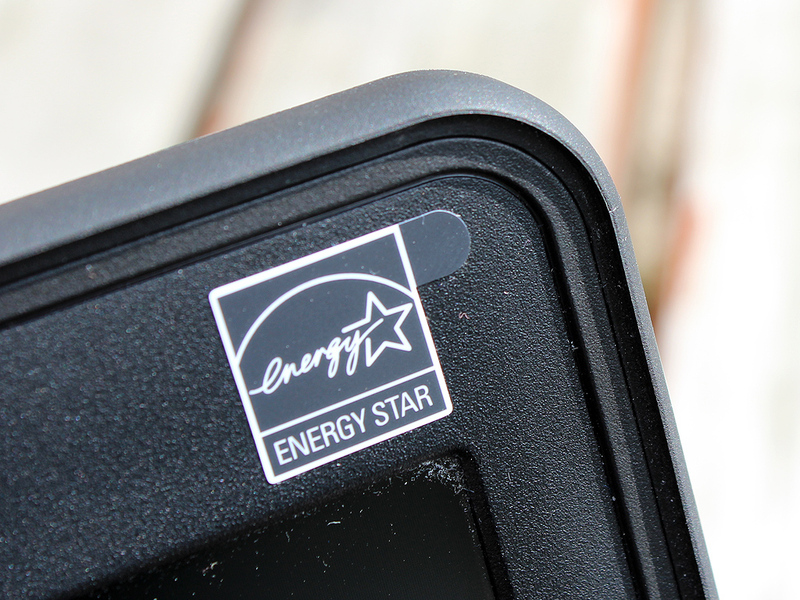 The display has a nice rubber edge, which, when closed, seals the laptop off from dust and other unwanted intruders. 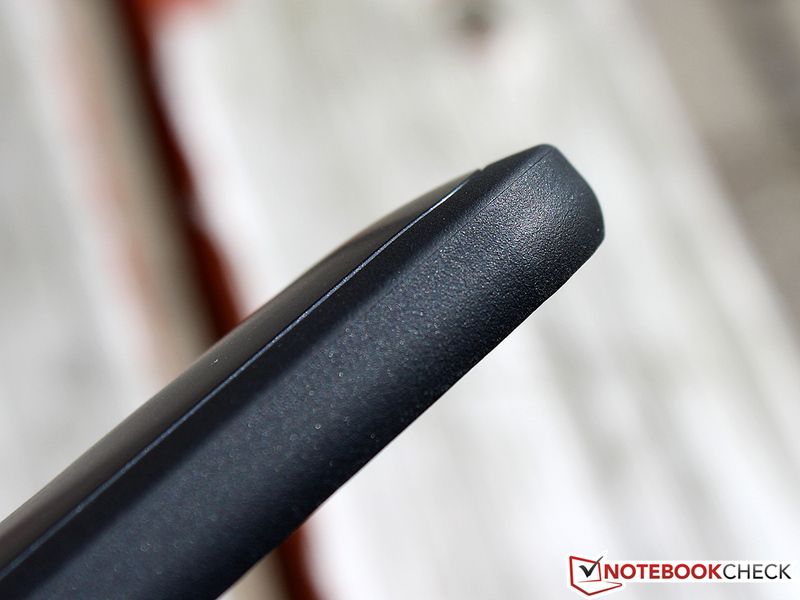 The nicely rounded, sturdy edges are meant to minimize the damage from a fall; of course, we did not test this feature. The sturdiness of the display cover is great, but this is not surprising as it measures more than 10 mm. 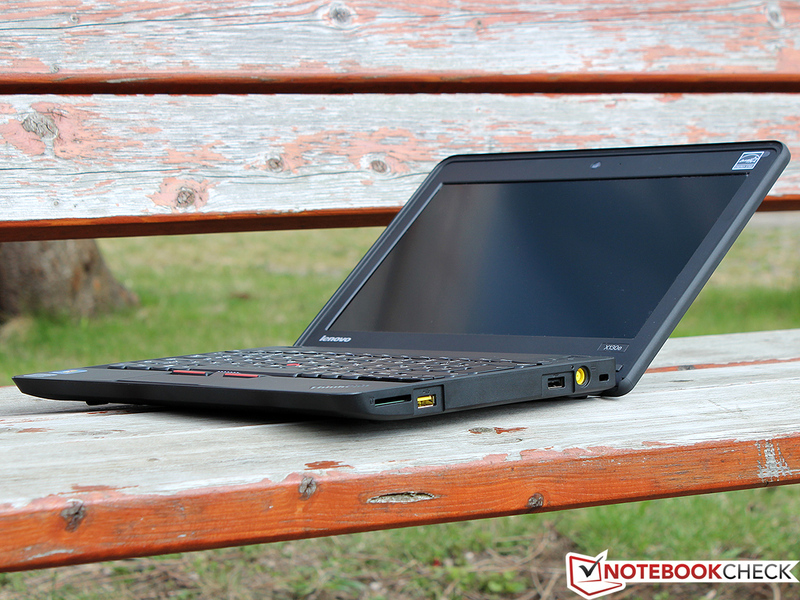 The competition (MSI Wind U270) offers good workmanship and sturdiness, but it is inferior to the ThinkPad X130e. Samsung should learn from Lenovo's example and improve the case of the 305U1A, as their laptop performs poorly in this section. 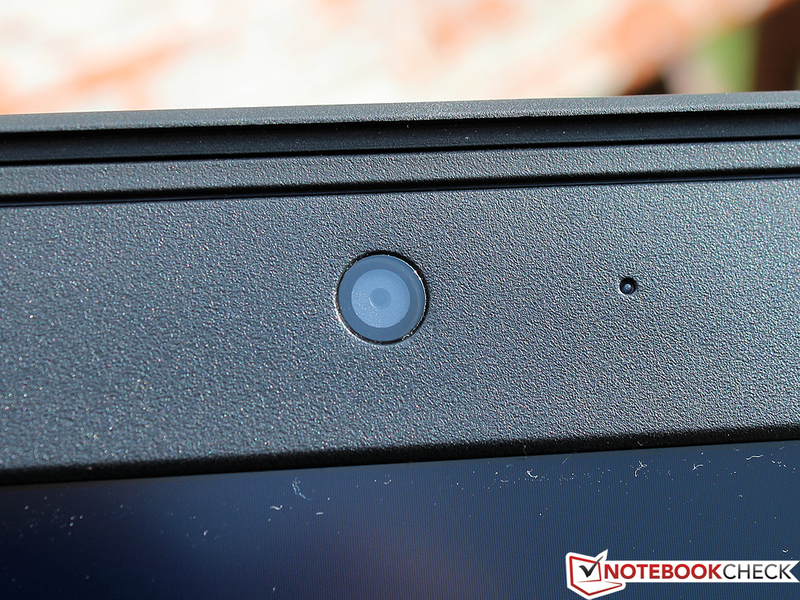 We once again remind the reader that the ThinkPad X130e offers a high sturdiness because of its thick build. 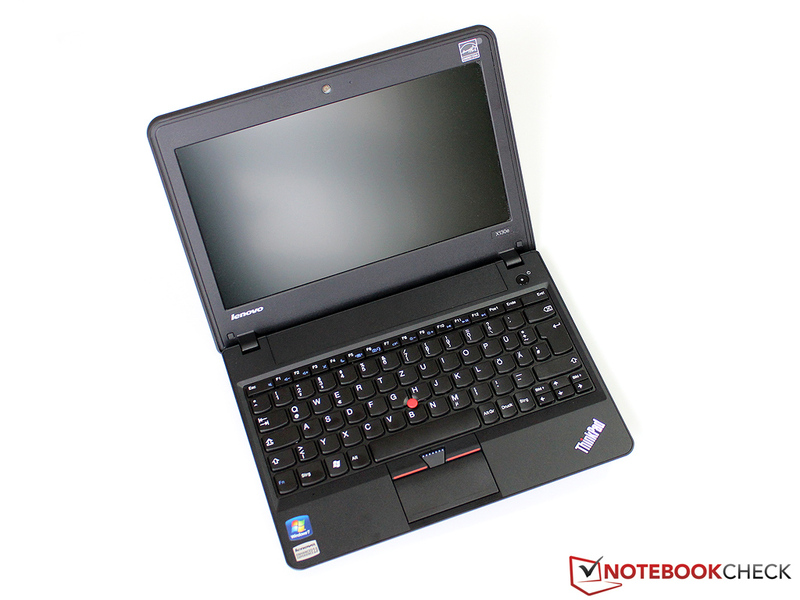 The X130e has the usual connectivity of a compact subnotebook. 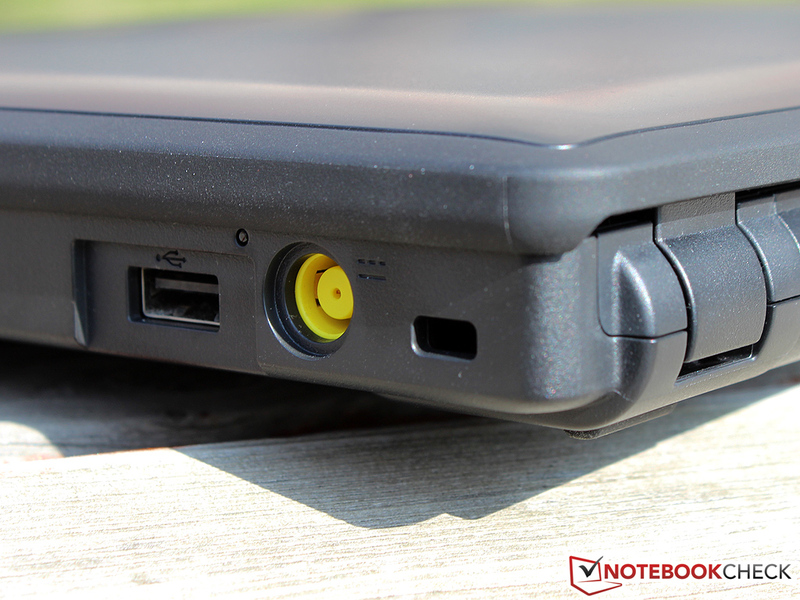 Three USB ports (USB 2.0) are provided on the laptop. Their performance is poor: a mere 25 MB/s. Optimally these interfaces should deliver 50% higher performance but we would have been happy with 30 MB/s. A modern USB 3.0 interface (as in the MSI Wind U270) would have been a great plus for this model. VGA and HDMI interfaces take care of display output to an external monitor, but only one interface can be used at a time. Sound output can be delivered via HDMI interface or 3.5 mm audio jack, which is also compatible with a microphone or headset. The 4-in-1 card reader (SD, SDHC, SDXC, MMC), GBit LAN and Kensington Lock round off the connectivity of the test model. The positioning of the ports could have been better. 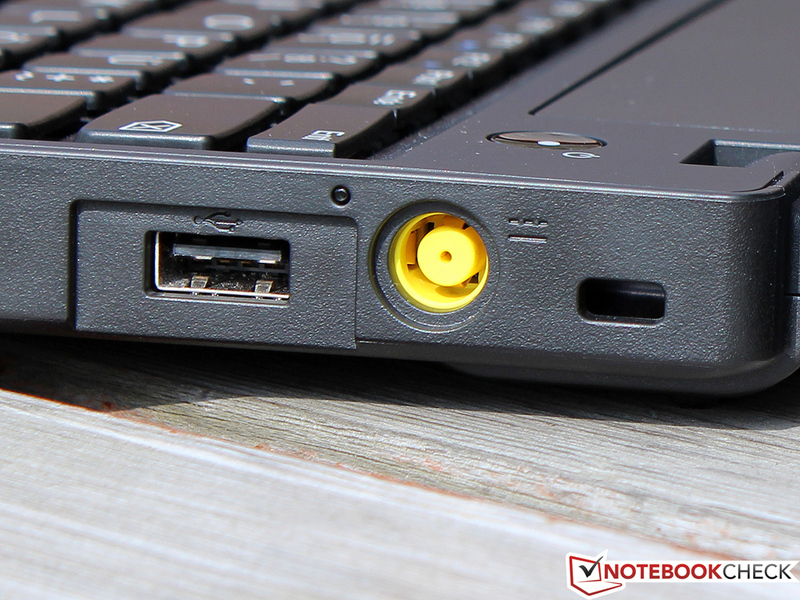 Lenovo has placed all the interfaces on the left and right sides of the laptop and this will easily lead to a cable spaghetti if multiple ports are simultaneously used. Thankfully, the ports are well-spaced and will not block the neighboring interfaces while they are in use. 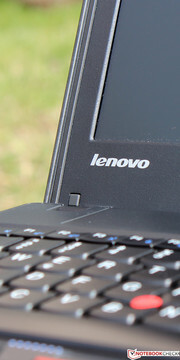 In fact, Lenovo even went a little overboard (unlike in the X121e) and has made it possible to connect both ends of a USB Y cable to the notebook. The WLAN module (manufactured by Broadcom) enables users to connect to wireless networks with the IEEE standard: 802.11b/g/n. The module can achieve speeds of up to 150 MB/s (1x1). Some models offer an a/b/g/n module which can access the 5 GHz frequency and achieve speeds up to 300 MB/s. Bluetooth 3.0 is also on-board and can be deactivated, like the WLAN, with an Fn key combination. An optional WWAN card (mini PCI Express) is essential for mobile devices but sadly the X130e is not provided with such a module. Skype and other programs run well with the webcam despite the low resolution of 0.3 MP. The picture may not be very detailed but the webcam delivers a fluid video feed with few distortions. The integrated microphone (hand-rest region) could have been better, but for everyday use, the record quality is sufficient. 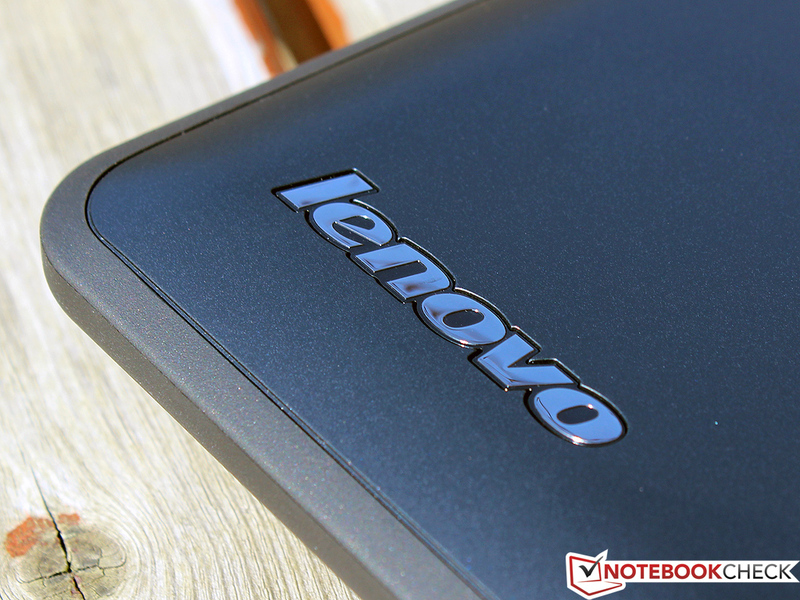 Lenovo delivers the essentials: warranty documents and a Quick Start guide. There are few programs pre-installed on the laptop. One of these is ThinkVantage Tools which provides the user with a variety of security and backup options and can be used to control power consumption and optimize battery life. The bottom flap of the laptop comes off with little effort. RAM and HDD can be swapped out easily. Thankfully, there is an free RAM slot which makes upgrading easier. 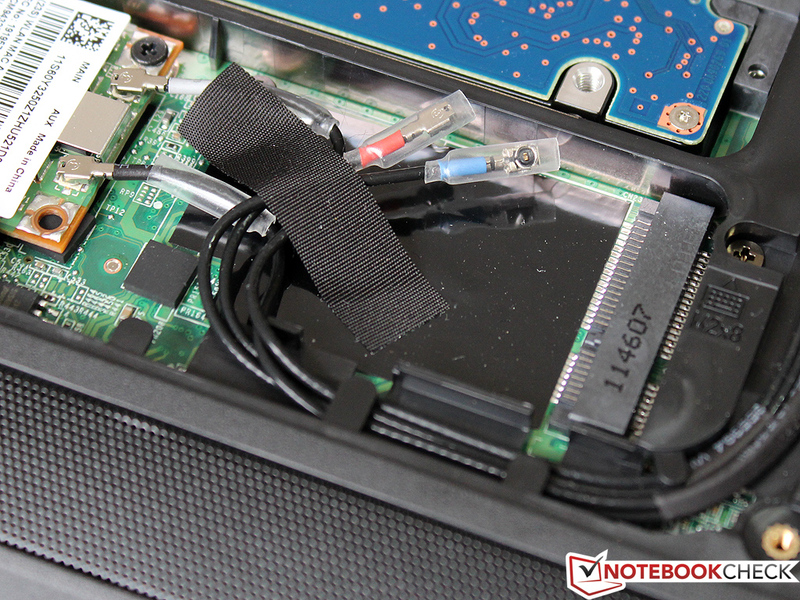 Lenovo has even gone one step further and placed the cables for a mini PCIe UMTS module in position. So the user only has to install the card and connect the cables. The cooler fan can also be easily cleaned. This test model can be found in various student shops and is sold with the standard 12 month warranty. An extension up to 3 years "On-Site Service" is possible for 80 Euros. The input devices are the strength of the ThinkPad models, and even the cheap X130e upholds this tradition proudly. 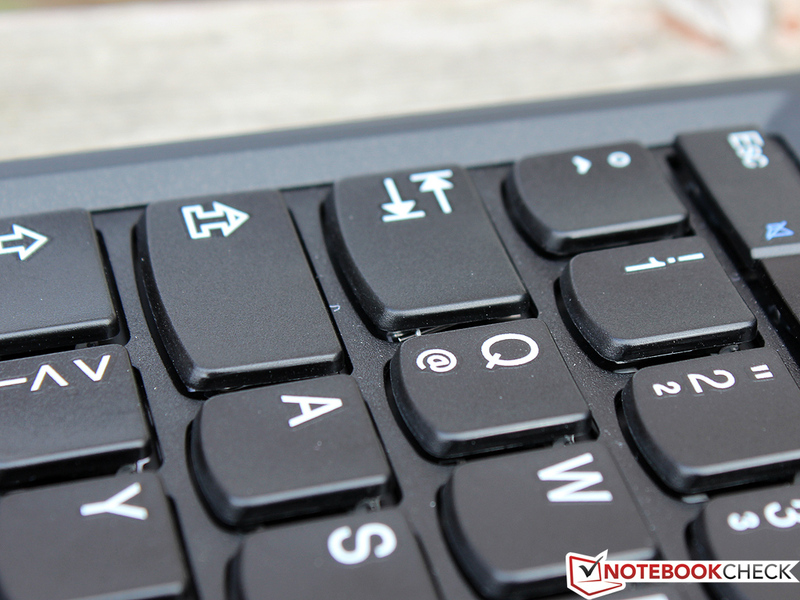 The test model is equipped with a black chiclet keyboard with normal-sized keys (15 mm). The unconventional placement of the Print and Page Up/Down keys can prove to be annoying. As in other Lenovo models, the CTRL and Fn keys are swapped but their functions can be changed in the BIOS. This keyboard is quite special as it is protected from water spills ("spill-resistant"). The typing feel may not be at the same level as that of the ThinkPad T420 or other high-end models, but the test model still offers good quality. The large stroke distance paired with the medium pressure point gives the user good feedback. The experience would have been better if the surface of the keyboard were more structured. The sturdiness is great: typists will not find any weak spots on this keyboard. The quiet impact noise is the icing on the cake. This input device is familiar to many users around the world. 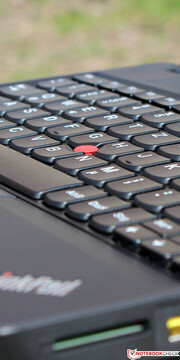 The small red input device is placed between the G, H and B keys and allows the user to navigate the cursor quickly and precisely. The Trackpoint is a perfect mouse replacement thanks to the buttons placed under the space bar (scrolling, left and right click). The quality leaves no room for complaint. 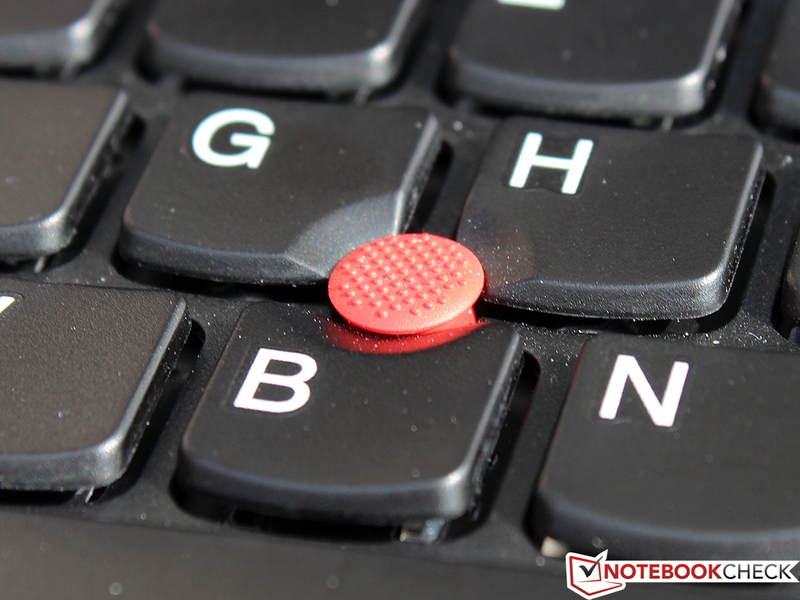 Some far more expensive laptops should learn form the precise pressure point and quiet click of this input device. The touchpad is less exciting. 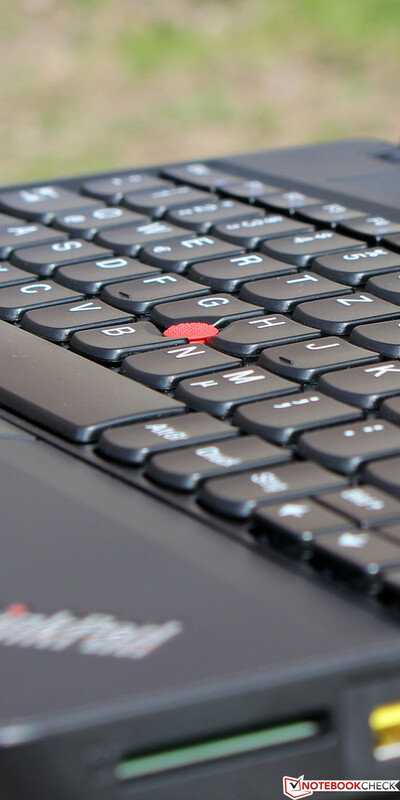 It has a nice surface structure and offers many of the great qualities found in the Trackpoint. Sadly though the surface area far too small: 75 x 38 mm. Multi-touch gestures are much harder due to the small size. The exceptional mouse keys and the amazing slide property of the touchpad can not make up for the size. This touchpad is meant for emergency use. 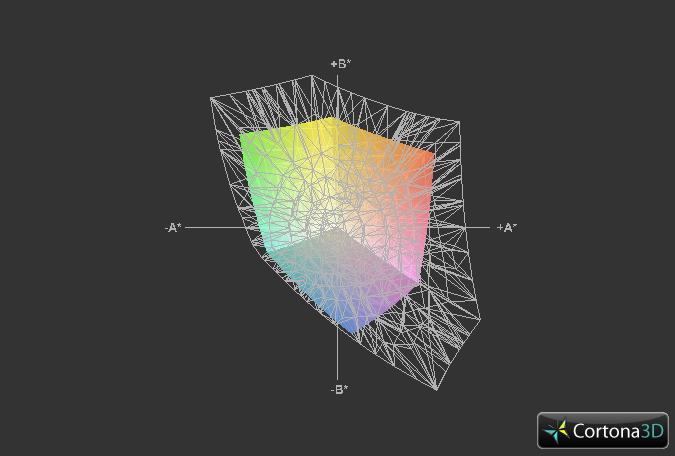 The resolution of 1366x768 pixels is standard for cheap 11.6 inch subnotebooks. 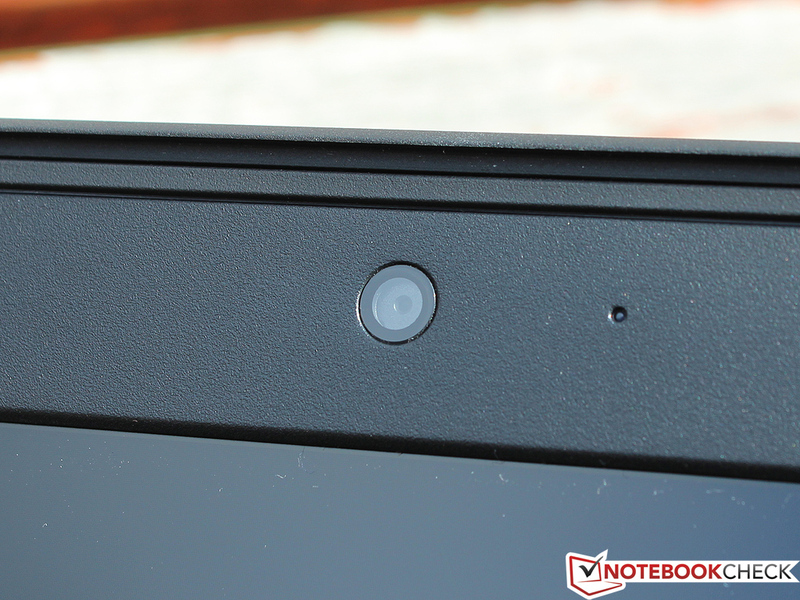 The ThinkPad X130e has a pixel density of 135 dpi which is a good compromise between work area and letter size. 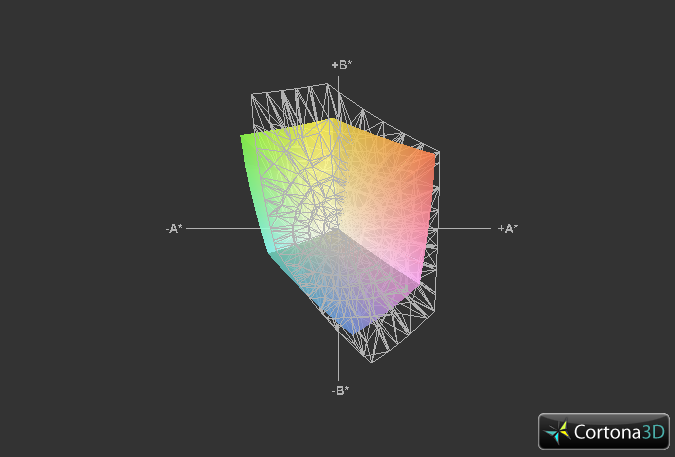 The LED backlight has a brightness of 173 cd/m², which falls to 142 cd/m² in the bottom right corner. Despite the matte display surface, the laptop is not suited for use in bright surroundings, as even indoors use requires the maximum brightness. 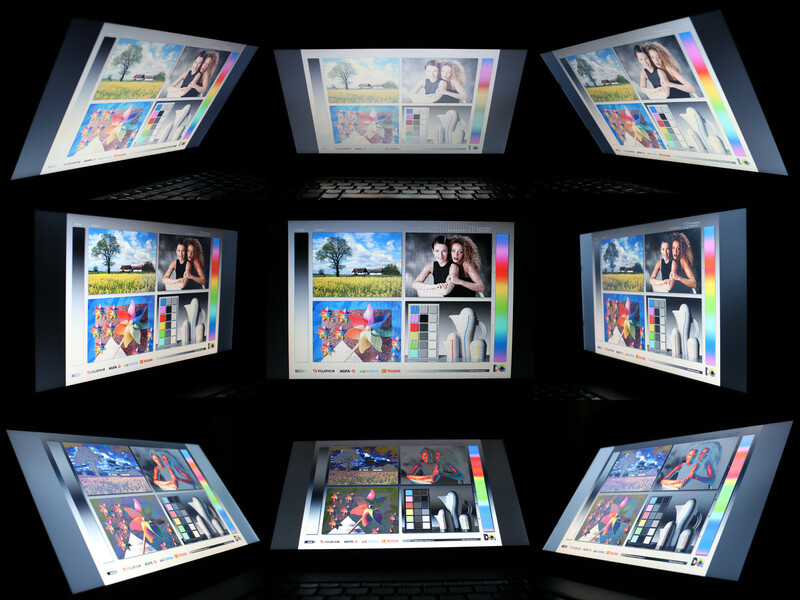 In fact, use of the laptop is much better in the dark and the brightness has 15 levels which allows the user to almost deactivate it. The notebook has a high black value of 1.24 cd/m² which translates to a contrast of 146:1. This value is typical for a cheap TN panel and the competition (MSI and Samsung) use similar low-quality displays, although at least the 305U1A has a decent illumination. 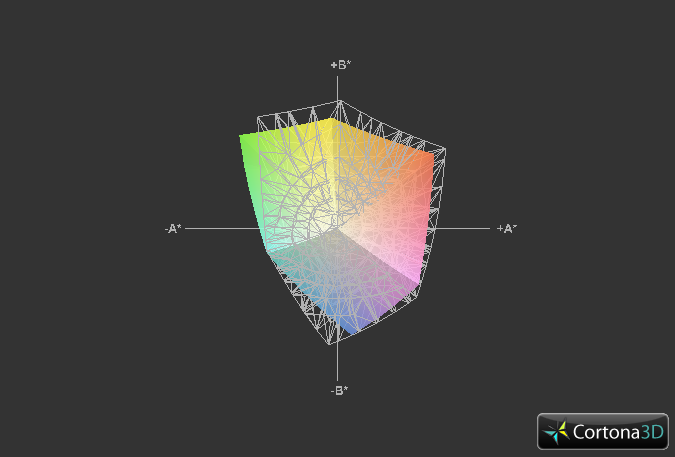 The display captures a mere 54% of the sRGB color space - one of the poorest values we have seen. Few people intend to use the ThinkPad for professional picture editing and we would like to emphasize the fact that this panel is not suited for it. Thankfully, the restricted color spectrum does not have an adverse affect on the everyday use of the laptop. Outdoors use of the laptop will be a problem as the brightness is too low. The display is anti-glare, but due to the low brightness, the content on the screen is barely legible in the sunlight. We can not understand why Lenovo chose to cut costs in this area. We do not think that the X130e would have been a lot more expensive if it had higher brightness. The viewing angle stability is poor. 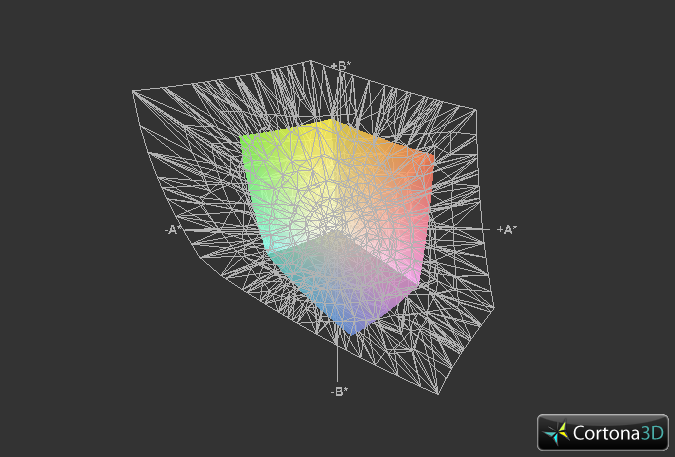 Deviations in the vertical plane will result in color inverting and drop in contrast. The horizontal plane is more stable: slight deviations are tolerated well. This TN panel is not suited for multiple viewers. The video output quality of the provided display interfaces is decent. Although, the picture is not completely clear, VGA output is good and has no flickers. We recommend the use of the HDMI interface whenever possible. 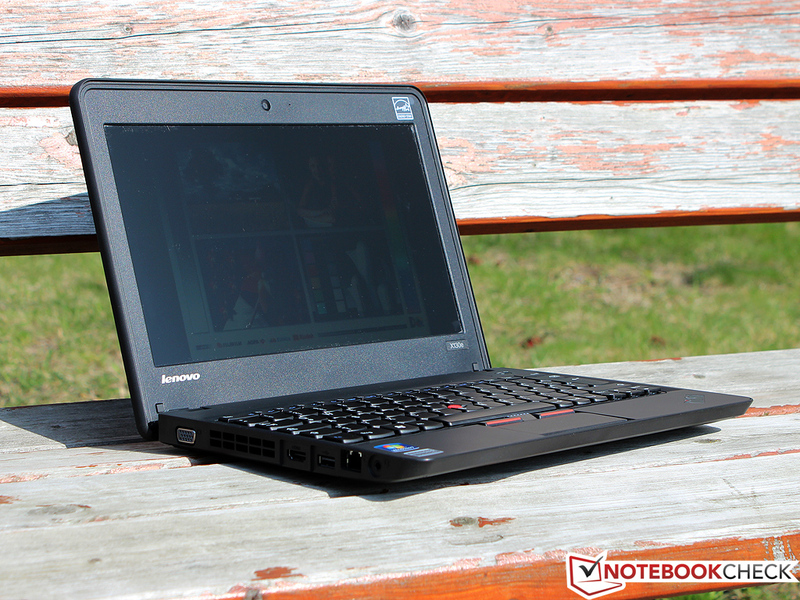 Like the Samsung 305U1A or the MSI Wind U270, the Lenovo ThinkPad X130e uses the AMD E-450 as its processor. 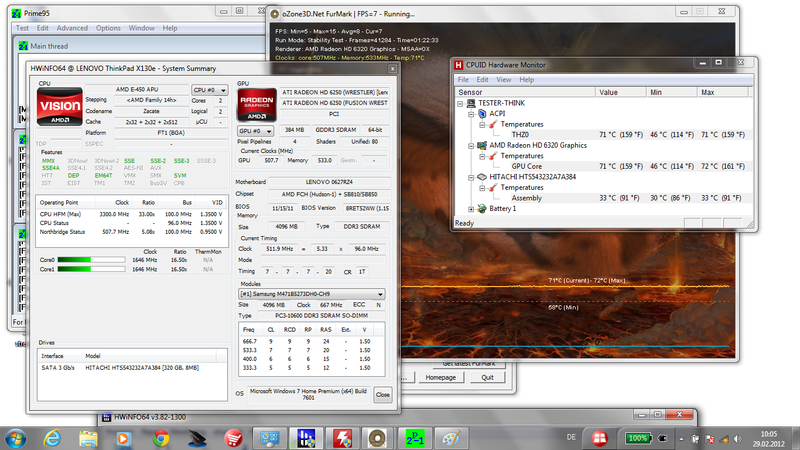 This CPU is clocked at 1.65 GHz and has two cores. 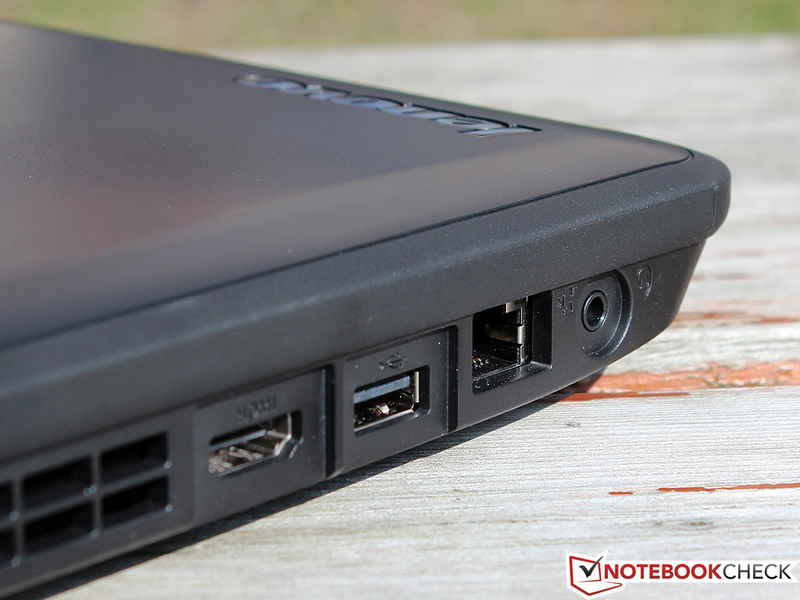 The processor is based on the Bobcat architecture and delivers entry-level performance for netbooks and subnotebooks. Sadly, the user will not be provided with the latest features, such as AVX or AES-NI, but the TDP of the 40 nm Fusion APU is a mere 18 watts. 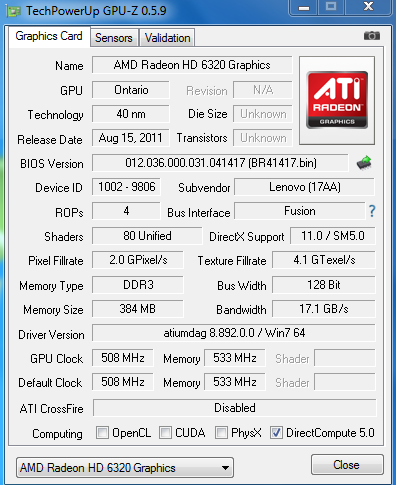 The Radeon HD 6320 IGP is tasked with the graphics of the laptop. This chip has over 80 shaders (VLIW5) which run at 500 MHz, and can be boosted up to 600 MHz (Turbo mode). 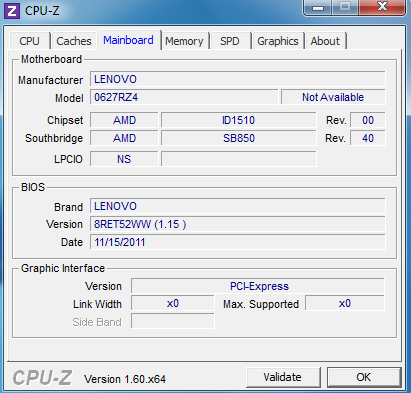 The chip also supports DirectX 11 and is thus one step ahead of its Intel IGP counterparts: the Sandy-Bridge generation. The Intel IGPs can only support DirectX 10.1 at the moment. A 320 GB HDD and 4 GB of RAM from Samsung round off the hardware of the notebook. 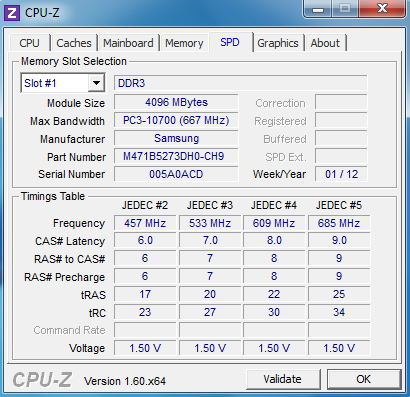 The RAM is clocked at 533 MHz (DDR3-1066), which will adversely affect the performance of the laptop. Worse: the CPU can only support single channel mode and the graphic chip hungers for more bandwidth. 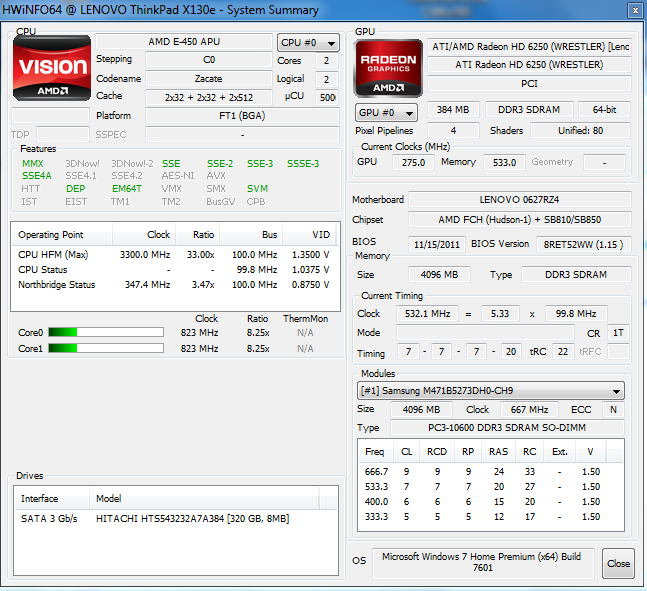 The E-450 scored as expected in our benchmarks. In the Cinebench R10 (64 bit), the laptop reached 1168 and 2223 points in single- and multi-thread tests respectively. This is significantly higher than the performance of the Intel Atom series. However, against the ULV models of the Core generation, the AMD CPU falls behind. A Core i3-2367M, which is available for the X130e for a significant premium, delivers double the performance. Even the latest Cinebench R11.5 benchmark confirms this statement with a score of 0.62 points (i3-2367M: 1.33 points). The E-450 delivers sufficient performance for everyday tasks such as Office or surfing on the web. Some of the more detailed websites take slightly longer to load and may stutter a bit while scrolling, but otherwise the hardware of the test model ensures a fluid experience. The Hitachi HDD (HTS543232A7A384) in our test model is relatively slow as it runs at 5400 rpm and has a 8 MB cache. The drive has a capacity of 320 GB and about 16 GB are reserved for the recovery partition. The rest of the drive is available as storage space for the user. 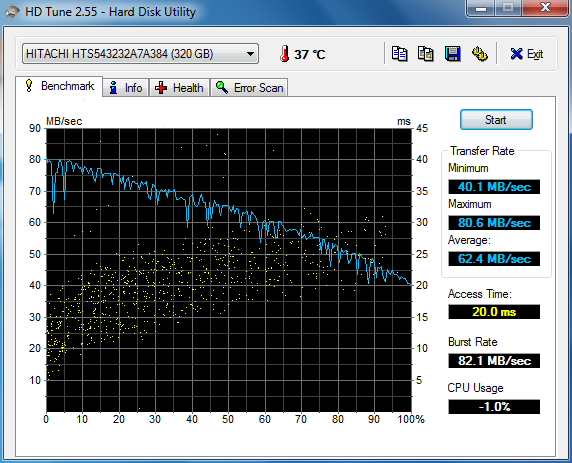 We did not measure great transfer rates: the HDD delivers 62.4 MB/s (on average) in the HD Tune benchmark. This performance lies in the lower midfield among the hard disks we have tested. A faster model which runs at 7200 rpm can deliver better performance and reduce the access time to 20.0 milliseconds, but installing a faster HDD will increase the noise and temperature emissions. On the other hand, swapping out the drive for an SSD should deliver high performance with low emissions (Windows start up drops below 55 seconds and programs start instantaneously). 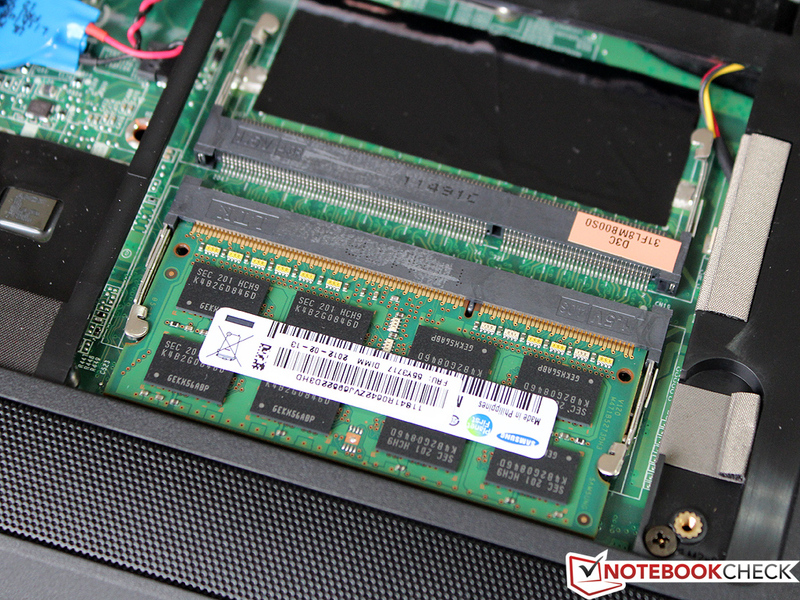 The performance boost will come at a high price as SSDs are quite expensive. 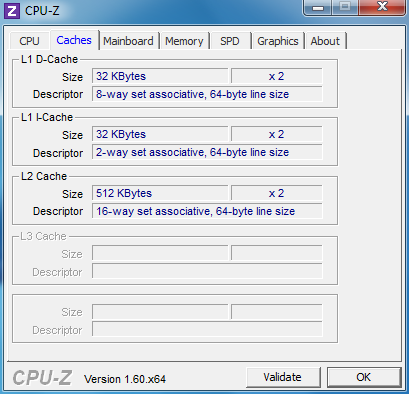 A cheap ULV CPU and a lazy hard drive ensure low scores in the system benchmarks. The test model scores 2181 points in PCMark Vantage and 943 points in PCMark 7 - the same level as an MSI Wind U270 or a Samsung 305U1A. Similarly priced 15.6 inch notebooks include the Acer Aspire 5750G, which takes a big lead thanks to its faster processor. The user should avoid intense multi-tasking or detailed video editing on the X130e. 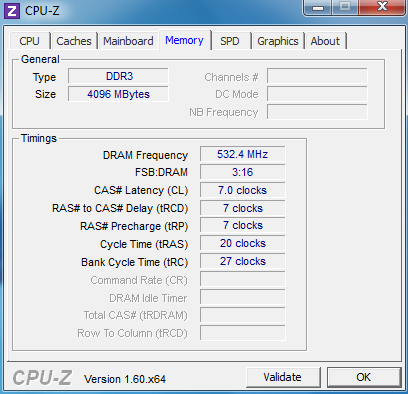 As feared, the slow DDR3-1066 modules throttle the graphics performance of the notebook significantly. The 3DMark 06 score of 2155 points is only slightly lower than the scores of the similarly-equipped competition. However, in 3DMark Vantage the ThinkPad loses about 20% performance and can only reach 751 points. There was very little loss in performance in the latest 3DMark 11 benchmark but the fps dropped to single digits and the video stuttered a lot. Thankfully, the performance of the CPU and graphics processor is not limited during battery use. 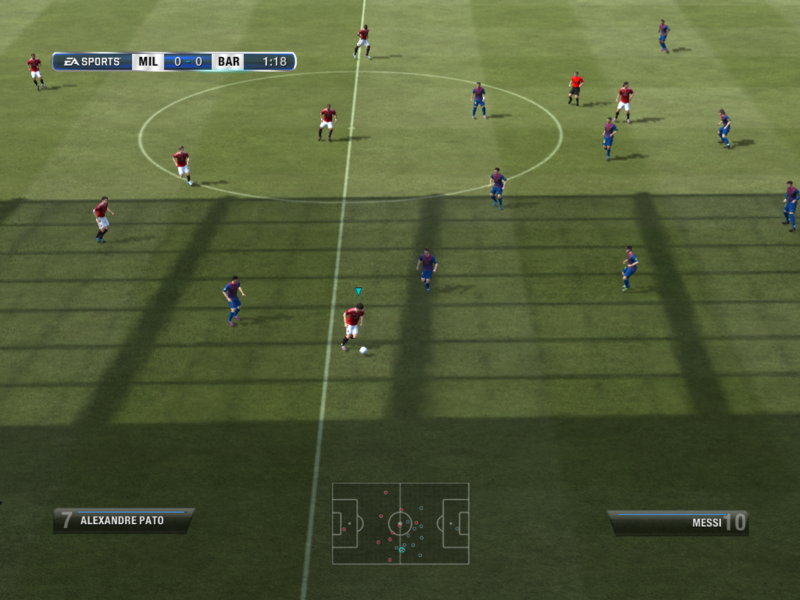 AMD's latest video decoder, UVD3, can play films and trailers fluidly up to 1080p. However, if the laptop is occupied with another task, the video might freeze momentarily. 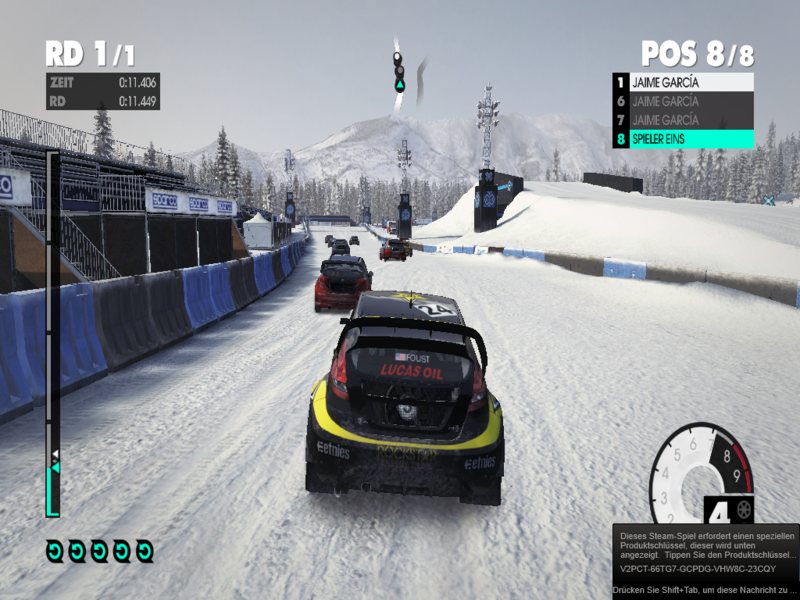 Despite the fact that the Radeon HD 6320 is quite powerful for its price and form factor, the latest games refuse to run fluidly on the laptop. 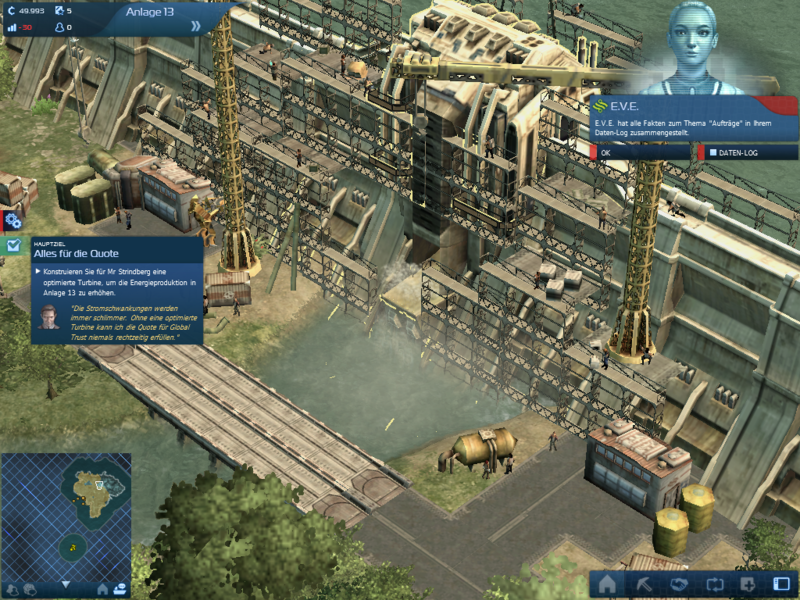 We tested the following: Dirt 3, Fifa 12 and Anno 2070. None of the games passed the 30 fps mark even though the settings were all set to low. Users who run older games, such as Counter-Strike: Source or the network classic Warcraft 3, should not have any problems. A power-saving Fusion APU should be able to run quietly in a subnotebook. 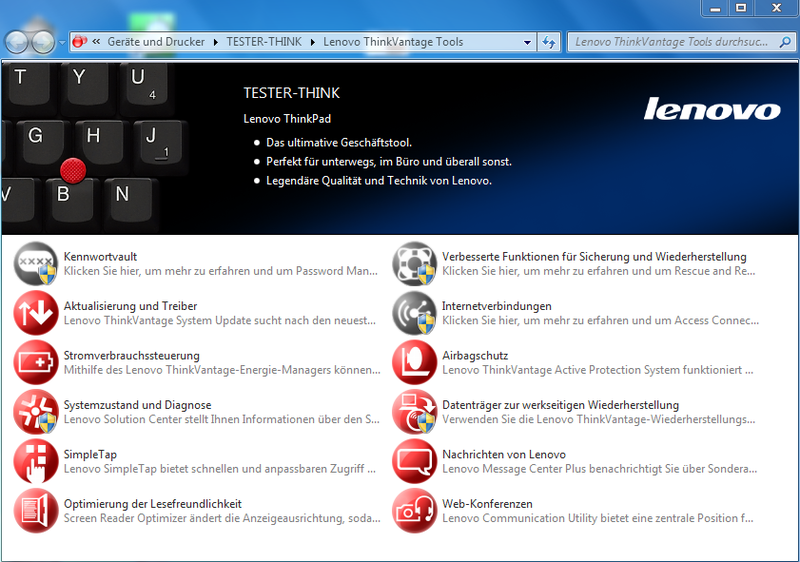 Lenovo could not quite achieve such a low level of emission in our test model. While idle, the cooler fan is off and the system emits 30.6 dB(A). 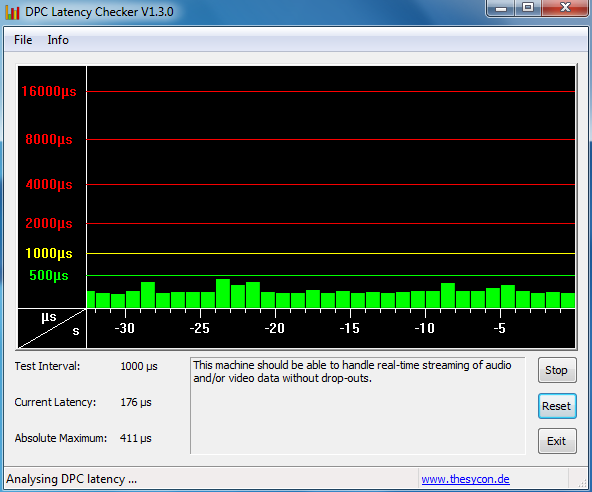 Now and then, the hard disk rises above this level to 31.3 dB(A) but it is only audible if the user listens carefully. The drive gets louder as soon if a program demands more resources and this is always the case as the E-450 offers meager performance. The resulting 33.5 dB(A) are barely noticeable in a noisy environment, but in quiet surroundings, the emission is audible but not distracting. 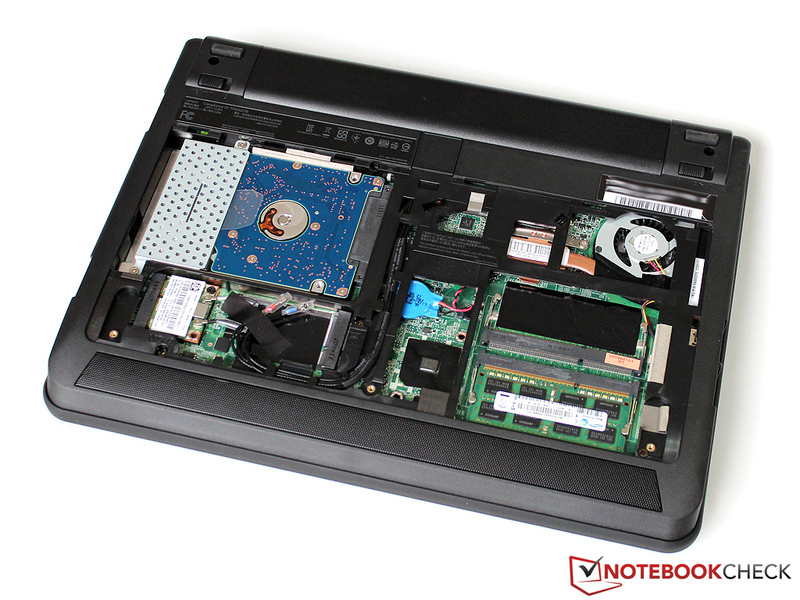 A plus point of the laptop is the constant and low frequency noise emitted by the cooler fan. This is far better (subjectively) than having a cooler fan which continuously turns up and down. Whether idle, or under full load, the noise emission stay constant over long periods of time. The measurement device recorded a maximum 35.4 dB(A) when we ran FurMark and Prime95 together on the laptop. Overall, the X130e performs similarly to the Samsung 305U1A. The Wind U270 from MSI can not fit in the same class with its maximum emissions of 40.8 dB(A). The surface of the laptop can heat up to 27 degrees Celsius (room temperature: 22.1 degrees Celsius) while idle. This is barely noticeable and we did not notice any hot spots. The bottom of the laptop reaches around 29 degrees Celsius and stays far from critical temperatures which would prevent the use of the X130e on the lap. Long periods of full load (stress test) will raise the temperature emission by 2 to 4 degrees. 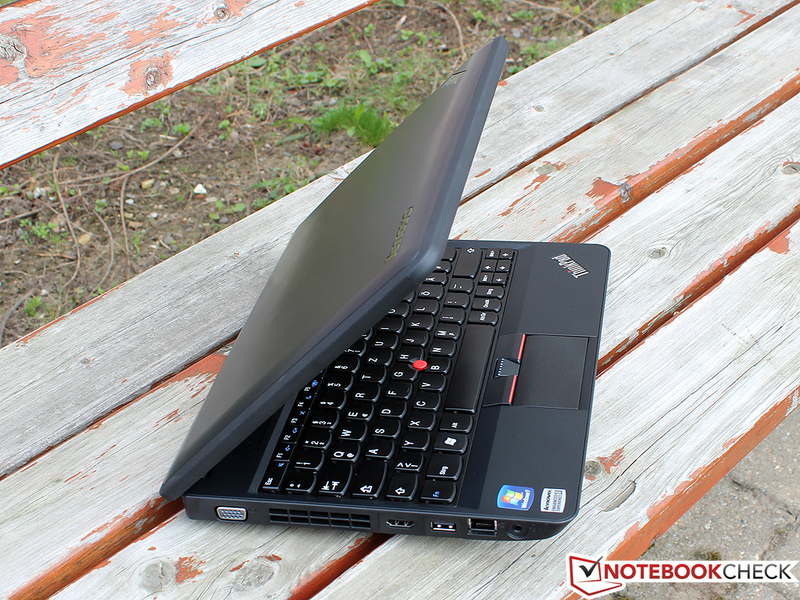 The ThinkPad X130e performs magnificently in this department. The E-450 has a TDP of 18 W and we could measure a maximum 72 degrees Celsius from it. This means that the system will not overheat easily, even if it is outdoors in the hot summer sun or if the laptop vents are clogged with dust. Throttling, errors and other stability issues were not measurable at any point. (+) The average temperature for the upper side under maximal load is 30.9 °C / 88 F, compared to the average of 30.7 °C / 87 F for the devices in the class Subnotebook. (+) The maximum temperature on the upper side is 32.3 °C / 90 F, compared to the average of 35.8 °C / 96 F, ranging from 22 to 57 °C for the class Subnotebook. 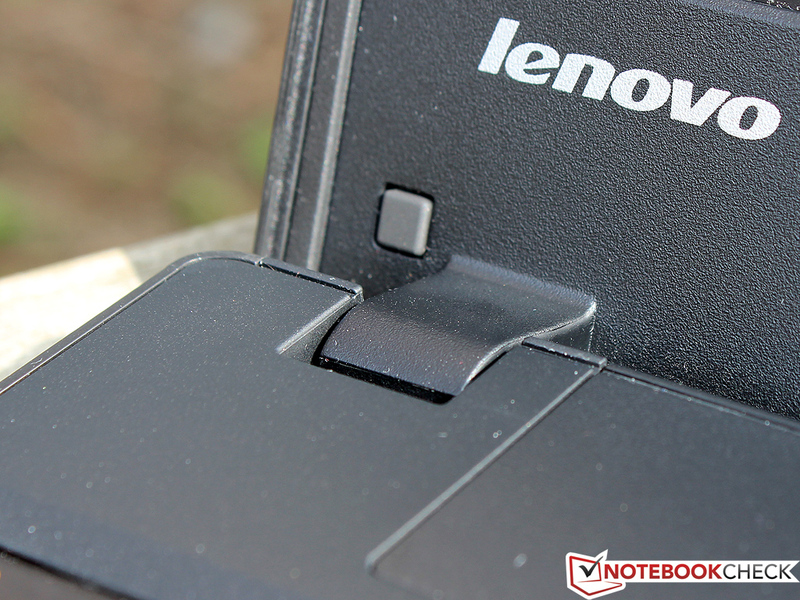 The X130e is not designed to be a great entertainer and thus Lenovo places little value in the speakers. The stereo speakers hidden under the keyboard deliver sound which leaves much to be wished. Music output is made up of a range of high tones and the speakers are not very loud. These speakers are cheap devices which are good enough for a Skype call or the playback of a trailer. The headphone jack is far better. This interface delivers good sound even through HiFi models such as the AKG K 701. We recommend the use of the HDMI interface for home systems as this interface can transmit the signals of multiple channels. The extremely low 4.2 W minimum power consumption may seem amazing at first, but this value can only be reached if the display backlight is nearly off. 6.6 to 7.7 watts are more realistic values while the laptop is idle and the WLAN is on. This is far below the power consumption values of the MSI and Samsung competition. The X130e reaches a mere 15.9 (3DMark 06) to (maximum) 21.8 watts under load. 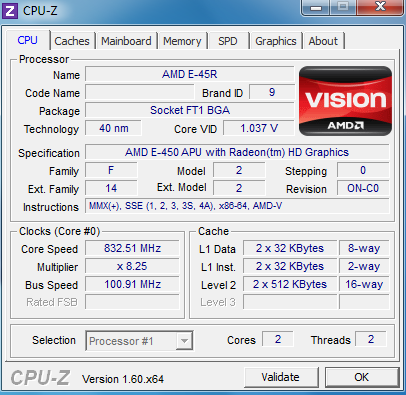 These are great values for a system and no other laptop with AMD's E-450 could perform so well in our previous tests. These low value are probably thanks to the notebook's relatively low maximum brightness. The 65 watts power adapter is over-dimensioned, but it stays cool while charging. Lenovo proclaims a maximum battery life of 9.2 hours and our measurements record even more: 669 minutes which is more than 11 hours. The 62 Wh battery lasted this long in the Battery Eater Reader's test, in which the communication modules were switched off and the brightness was set to minimum. The WLAN test is much more practical: the ThinkPad lasts a great 7 hours and 7 minutes. The laptop loaded various websites and played some HD videos at a brightness of 150 cd/m². This is a simulation of everyday usage of the X130e. Users, who need this subnotebook for intense processing or playing games on-the-go, will need to plug it in for charging after about 3 hours. This is a comfortable runtime: after 60 minutes, the battery can be charged to 75% (100%: 134 minutes). In comparison to the Samsung 305U1A, which needs a full 4 hours to charge, the X130e is ready much faster. 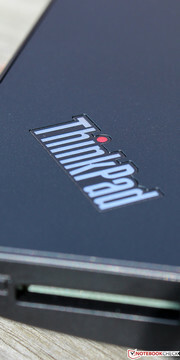 The question on every reader's mind: can the buyer expect a real ThinkPad for less than 500 Euros? After all, even the predecessor, X121e, showed one or two flaws when we looked closer. 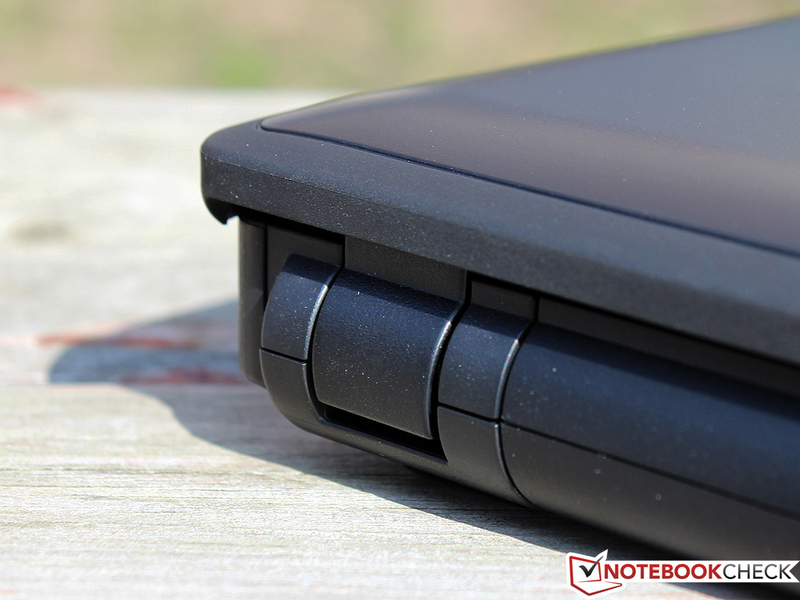 The X130e is a different story: even when compared to far more expensive laptops, the workmanship quality is amazing. The design may be old but the laptop was never meant to be part of a fashion show. The biggest disadvantage of this robust build is the heavy weight, which is noticeably higher than the competition. Lenovo has picked the right CPU for the job: the AMD E-450. Users should not expect amazing performance from the Fusion APU but the extremely low consumption values and the thereby resulting long battery life are great pros for the X130e, as they allow the subnotebook to be used an entire day on-the-go. 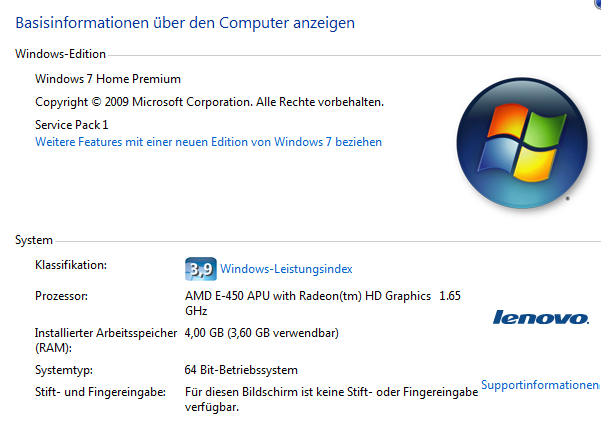 The decision to upgrade to the Intel alternative (Core i3-2367M) is free for each user to make. The upgrade will deliver more performance but will come at a high price. We lament the missing USB 3.0 interface and the somewhat small touchpad (the input devices are otherwise exceptional). 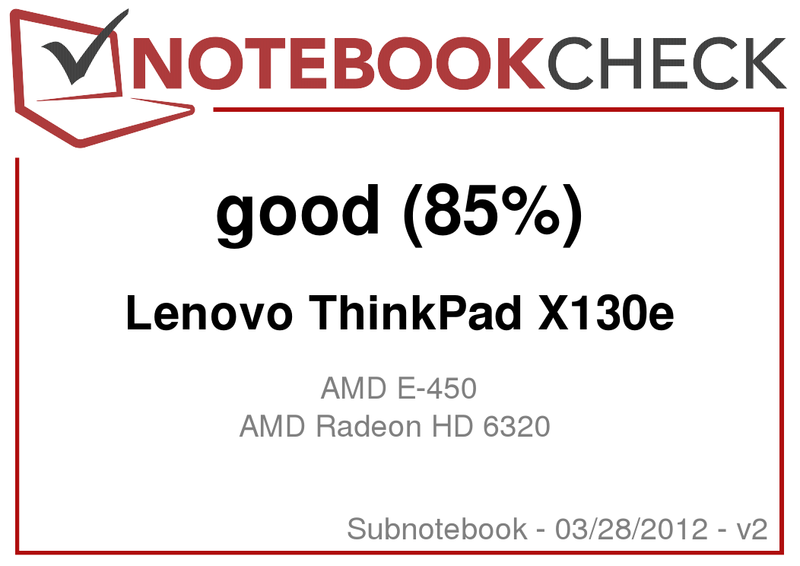 Thankfully, the ThinkPad has few major flaws, such as the display, which prevents the notebook from reaching an excellent rating. The screen is matt but far too dark for outdoors use. 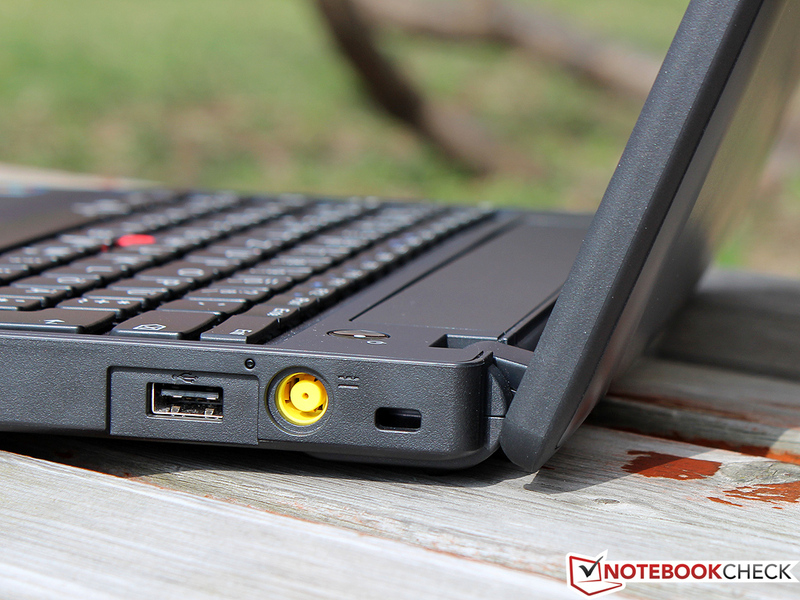 Students who need a mobile but sturdy laptop for the university will find the ThinkPad X130e to be a good fit. Other buyers should take a look at the more outdoors-friendly Samsung 305U1A and MSI Wind U270 with USB 3.0.
and the trackpoint is tradition. is placed alongside the usual interfaces. A 0.3 MP webcam allows pictures and videos to be recorded. 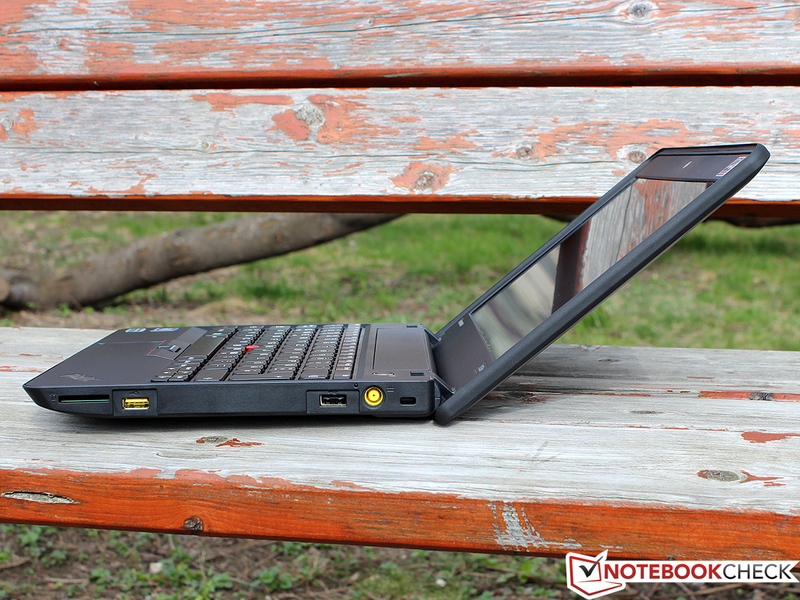 which hinders the use of the notebook outdoors. The bottom of the laptop has a big maintenance flap. This can be opened quickly, but does a good job of protecting the hardware of the laptop. and even an UMTS module can be added. 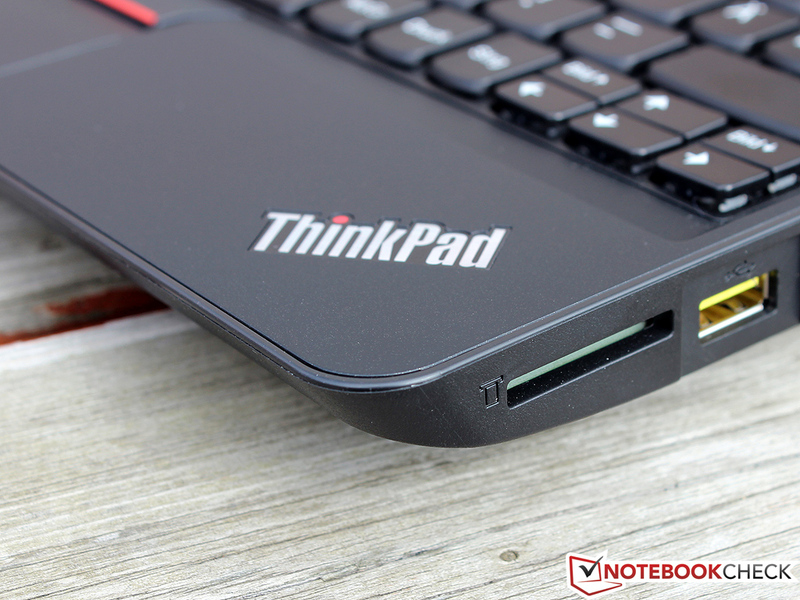 the X130e deserves the ThinkPad name. but they restrict the opening angle of the display. A name with high standing. is the entry-level business laptop. the case was improved in many places. should protect the ThinkPad from falls. The 2.5 inch hard disk can be swapped out. 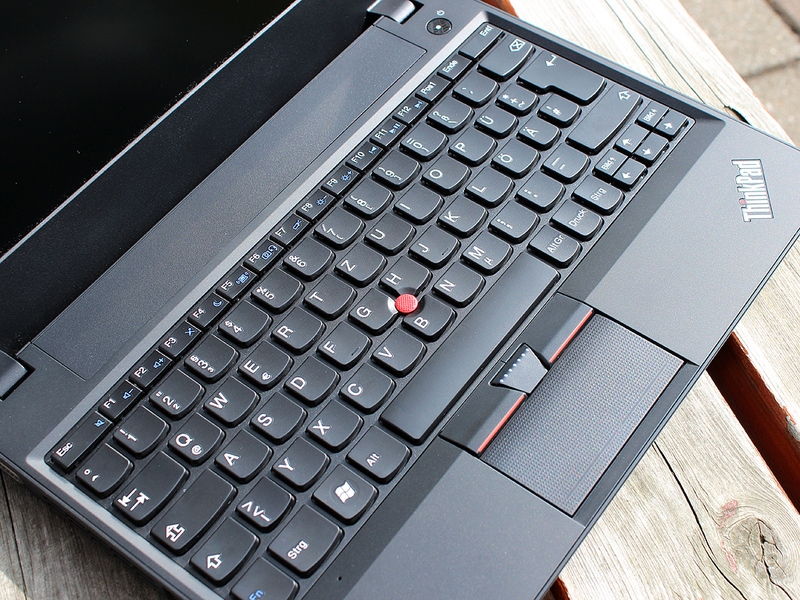 Despite the low price, the small X130e is still high-quality and robust like its bigger siblings of the ThinkPad family. 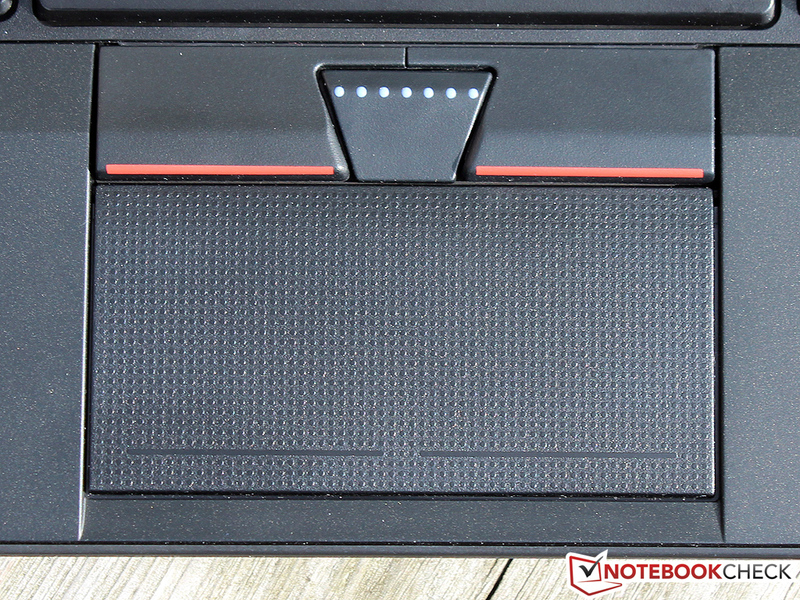 Please Lenovo: give the notebook a brighter display! 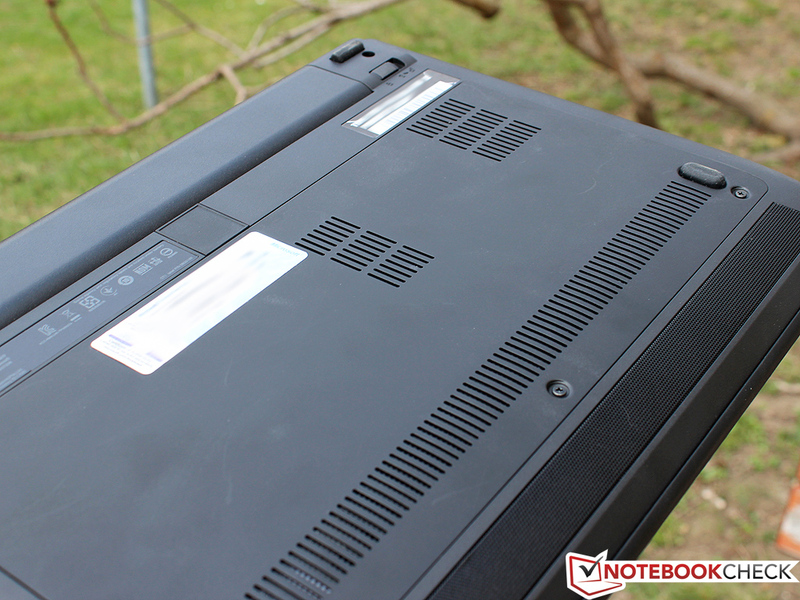 With its current brightness, the laptop is not easy to use outdoors. Reliable or old-fashioned? The ThinkPad design has barely changed over the last few years. 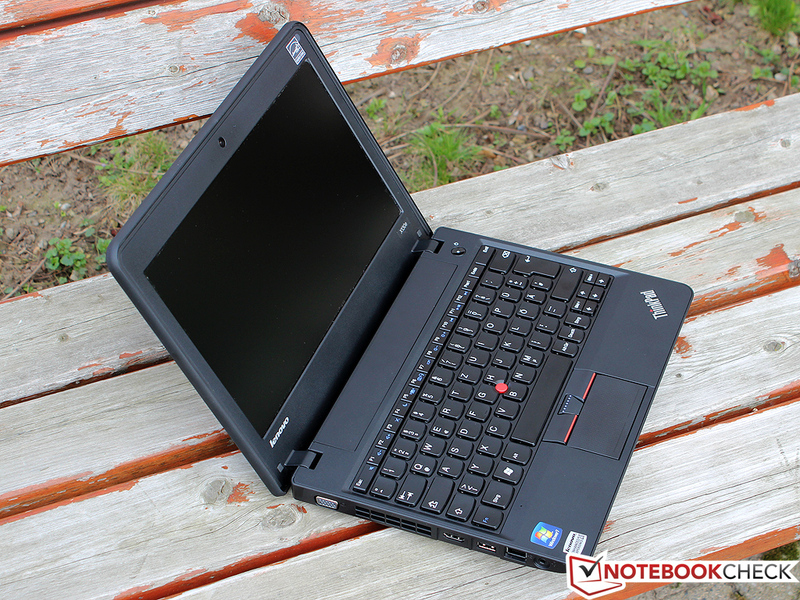 Still available and priced under 400 Euros: the predecessor ThinkPad X121e. Quiet and suited for outdoors use: Samsung 305U1A. 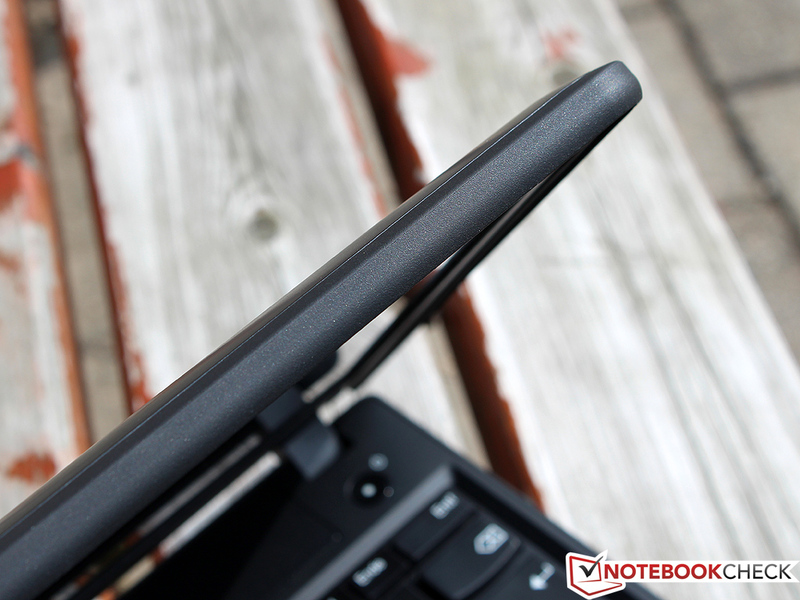 Alternatives are the MSI Wind U270 and the HP Pavilion dm1.